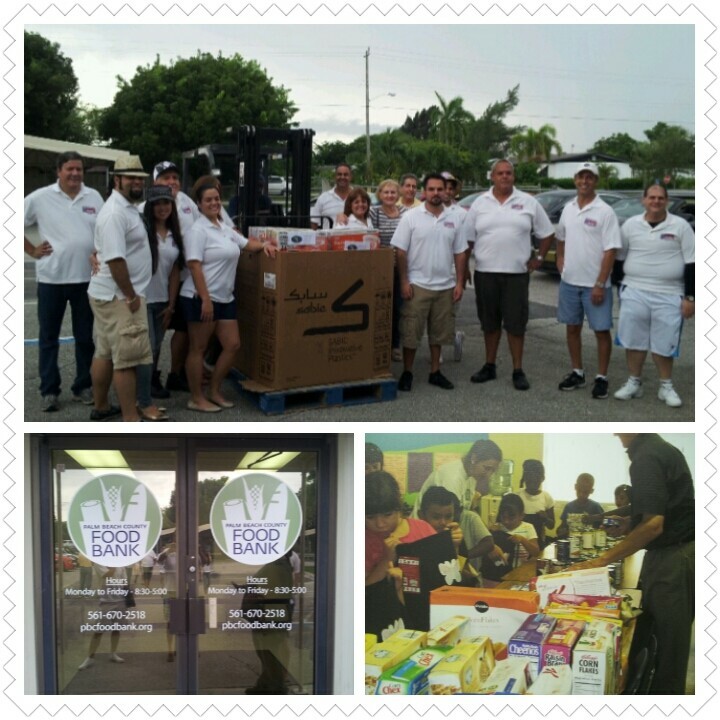 On Sunday, September 15, 2013, South East Florida SAAC got together to help the hungry in Palm Beach County. To everyone who attended and contributed, we want to extend a hearty thank you on our behalf. It's easy these days to get so caught up in the trappings of our daily lives that we forget those people who have it worse than us. Some of us complain about car insurance premiums, while forgetting that others don't know when their next meal will come, if at all. It really is impressive, and sad, how, in so great and wealthy a country as ours, one that can produce these fine automobiles we talk so much about, that so many people go hungry. We think famine is something that happens in third world countries. Look out your car window - famine is here. Those of you who contributed to putting food on others' tables, thank you. After that, the club circled up at Benny's on the Beach, a casual eatery with stunning views of the Atlantic. Good food, hot cars, and easy cruisin' - who says helping those in need can't be fun?